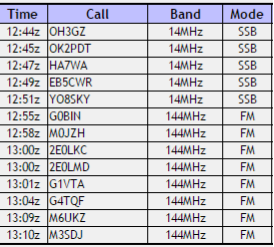 M0PLA/P SOTA Activations: 31st December 2016. 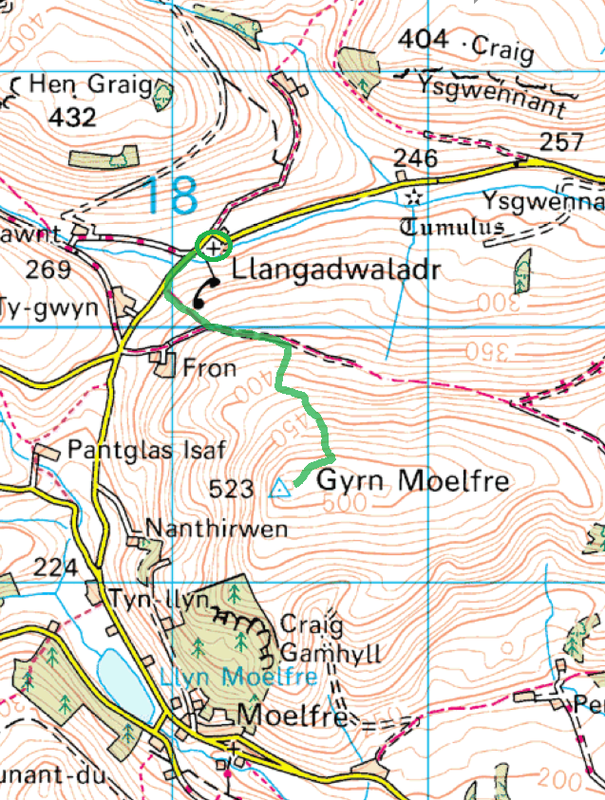 Gyrn Moelfre SOTA Activation visit. 31st December 2016. Gyrn Moelfre SOTA Activation visit. 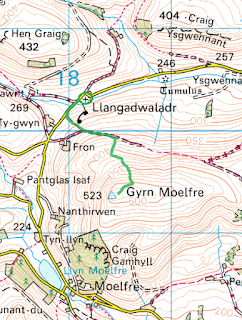 GW/NW-049 Gyrn Moelfre. 31st December 2016. Its New Years Eve 2016 and again the team are on the way up yet another Hill. This time we went just past Oswestry to find Gyrn Moelfre at a height of 1,715 ft, this is a 2 point hill but +3 Bonus points as we are in the winter season. I could not find too much details about parking so I parked at Grid SJ 181213 as indicated on my map above. There is a pull in by the telephone box at the end of the grave yard. I parked there leaving plenty of room for others. We then walked back down the road to SJ 179301 were the Bridleway meets the road, there is a little gate just off the road. Then the long steep walk starts and OMG I thought Corndon Hill was steep, I can true fully say This was the hardest climb we have done so far out of the 8 hills I have activated. The walk had many rest breaks to catch a breather, I would say it took us a good hour to reach the summit. Then as we arrived a 4x4 vehicle arrived with-in 3 or 4 minutes of our arrival. The passenger of the vehicle was a BMX biker and he was there just to ride his bike back down the hill. The first words out off my mouth was you can drive up here??? The driver said yes if you ask the farmer nicely lol. We then set up our gear, the usual 2M Home Brew Dipole and my end fed Half Wave for 20M. A word of warning to any one that wants to activate here rocks rocks and more rocks, a few problems getting my ground spike in for the mast.